Young boy sitting at a table using a tablet computer; image by Kelly Sikkema, via unsplash.com. There’s no arguing the fact that technology has brought invaluable lessons and advancements in our education sector. Today, a majority of teachers have discovered innovative methods of integrating tech into their teaching plans. Students have also become more inquisitive and determined to learn more using technology. So, have these technological gadgets been advantageous or disastrous for both teachers and students? To help you answer this question, we have come up with a detailed guide containing all the pros and cons of using computers, iPads, and other digital tools which facilitate learning. Have a look! Innovations in technology have greatly improved the process of online learning. This is a flexible means for learners in different countries to get helpful educational content while at the comfort of their homes. There are even virtual tech websites which make it easier for teachers to reach out and talk to students who are far away in foreign countries. Research also shows that tech gadgets have greatly assisted students in the mastery of punctuation techniques plus proper sentence construction. This is mainly because of tools of word processing like Microsoft OpenOffice and Word. These apps come with built-in dictionaries which offer suggestions to various grammatical mistakes. Even the Most Boring Subjects Are More Interesting with Technology! Different online platforms have made it simpler for learners to grasp different things. Even a subject like Mathematics, which many people consider to be difficult, becomes easier once it’s taught using tech tools. A good example is BrainingCamp which has made math fun. Here, students can use their knowledge in Mathematics to come up with answers to different problems. Tablet computer on top of a laptop; image by William Iven, via unsplash.com. allocated to them. In fact, a large number of students prefer to use computers because they can consume the information being provided slowly unlike a conventional lecturer who may not have the time and patience to assist those who are not quick in grasping content. 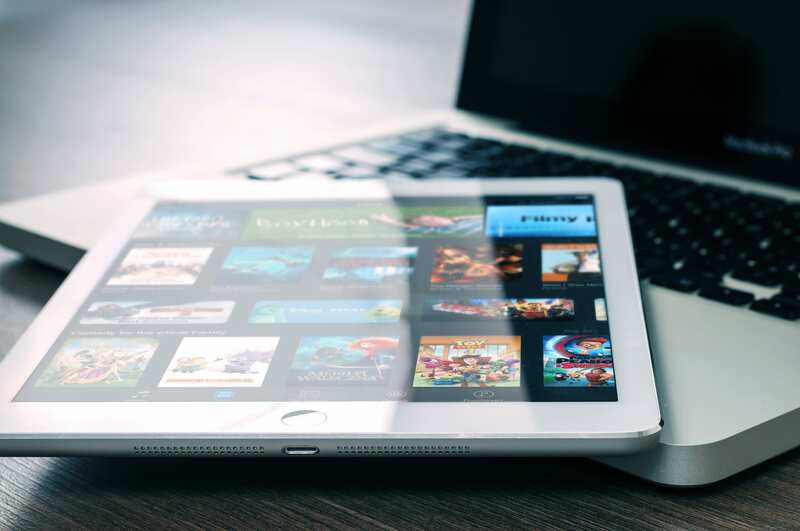 At times, students, especially the young ones, may get tempted to access non-educative content on their iPads or Computers, for example, visiting gaming sites, music videos and movie clips. Our most recommended method of curbing this menace is establishing tough rules for using tech gadgets. Those who fail to follow them should be punished severely to serve as an example to others. Well, too much of anything is poisonous. When a student is obsessed with digital tools, he or she may lose contact with people and the key things happening in his or her surroundings. That’s why it’s important for teachers to make sure that every assignment or lesson taught using technology ‘demands’ students to interact with them or with each other. Some tasks could be structured either as debates or class presentations. Here, students gain communication skills instead of simply sitting behind their computers. Most importantly, it will help them to engage in meaningful conversations, a technique which will assist them in improving their professional as well as personal lives in the future. Once given an assignment, a student may feel inclined to copy or plagiarize work from the internet instead of coming up with his or her own original content. Furthermore, the growth of online communication platforms like Facebook and Twitter has even made it easier for lazy students to cheat during exams. Many of them get answers sent to them without the knowledge of the instructor-in-charge. To avoid this, teachers need to instill the principles of integrity and good character in their classrooms. Today, almost anyone can post content on a certain topic online with little to no regard to its credibility. Such means that a learner doing research may get poor quality information without knowing. That’s why we advise every student to fact-check every resource they get online or better yet, search for those renowned and credible educational websites. As you can see, the modern technological tools of education can make or break classroom activities. While they greatly help in getting learners up to speed, they are also filled with loads of challenges. Luckily, once we establish proper structures to control their use, it’s evident that the pros are more than the cons. All in all, how do you think the integration of technology has changed learning in our schools? Are you content with the use of these tech-gadgets so far?